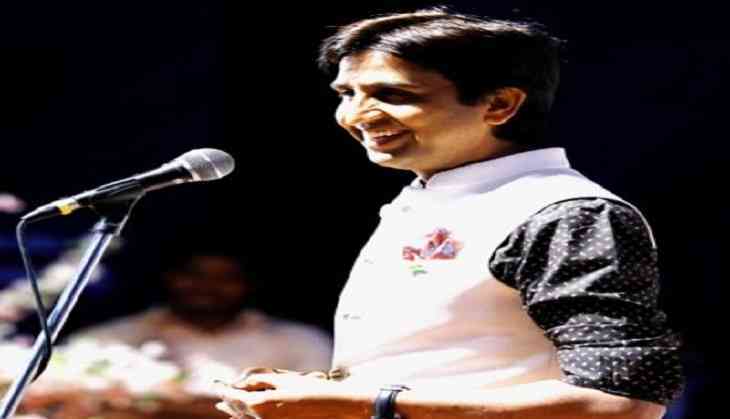 Ever since APP leader Kumar Vishwas fell out with the Aam Aadmi Party leaders including Delhi Chief Minister and the party’s national convener Kejriwal, Vishwas doesn’t miss a chance to take a dig at the party leaders and the Chief Minister. The fallout was openly started off when Kumar Vishwas was not nominated for the Rajya Sabha seat because of anti-party statements and activities. Several times, Vishwas took a different line on some of the issues. Hence, he had to be deprived of the Rajya Sabha seat. There were three-seats from Delhi for which Sanjay Singh, ND Gupta and Sushil Gupta were elected under the Aam Aadmi Party. Most recently, Vishwas accused his own party of not helping him in the cases filed against the same while he was campaigning for the party. “I have been regularly dropping my shows to attend several court hearings related to 2013, 14 and 15 poll campaign without any legal assistance from AAP. Another one pending tomorrow and I hv been again engaging my personal lawyers for this. Will carry on this fight. Jai Hind,” tweeted Vishwas. Kumar keeps making insinuations on the AAP and Kejriwal whenever any controversial issue emanates from the party. When Kejriwal apologized to former Punjab Minister Majithia for making allegation against him, many including party members criticized Kejriwal. Vishwas was also quick to take a dig at him through a poem. Kumar also supported the resignation of AAP MP Bhagwant Mann from the party by rewetting his resignation tweet. Present his criticism in the form of Hindi poem, Vishwash took a dig at Keriwal’s political behavior and policy. “I said not to change; the world has expectation from us. They said we are the language of power. I said not to speak too much; we are the voice of the dumb. They said to make noises; we came to power through these noises”. He also targeted the common party workers for not questioning their leaders and exhorted them not to be blind supporters to any politicians including Kejriwal and Modi. Vishwas, who is isolated in the party, has not much supporters in the party, did not leave the party so far. The famous poet was once accused by the party leaders to bring down the Kejriwal government in Delhi.